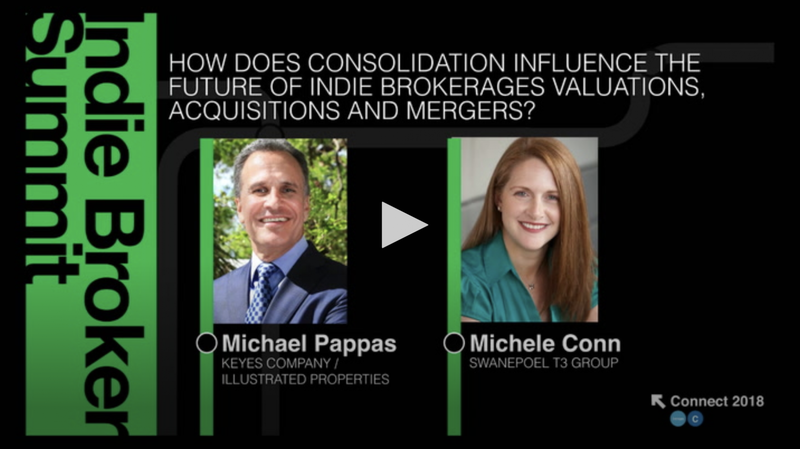 Indie Broker Summit NY 18: How does consolidation influence the future of indie brokerages' valuations, acquisitions and mergers? Mergers and acquisitions are happening all across in the real estate industry. How can independent brokerages get ahead of this trend and leverage it to their advantage? Michael Pappas, president and CEO of Keyes Company/Illustrated Properties; and Michele Conn, senior vice president of mergers, acquisitions and research at Swanepoel T3 Group, took the stage at Inman Connect New York‘s Indie Broker Summit to explain.